Un Flic with Alain Delon. Jean-Pierre Melville's last film, Un Flic / A Cop (1972), is a late noir classic that features all the central trappings of the genre along with – what was then – a modern sensibility about the nature of who, ostensibly, are supposed to be the good guys. Perhaps it goes without saying they're not much different than the bad guys; even so, as is the case in many Melville films, good guys and bad guys are mirrors of each other, the same yet different. Add to that several daring high-stakes criminal enterprises and, of course, a femme fatale (played beautifully by the beautiful Catherine Deneuve), and you've got a film that, while not the masterpiece of Melville's canon, would have been so for most other filmmakers. Despite its title, Un Flic is as much about a very cool criminal, played by a pre-Rambo Richard Crenna, as it is about a very cool cop – Alain Delon, more than a decade after Purple Noon and still striking as a presence on screen. They are both friends and at odds with one another in more ways than even their characters know. It's an intriguing juxtaposition of male ego and camaraderie in – what was then – an intense, taut film filled with Rififian heist sequences and crisp philosophical dialogue to the bitter end. In fact, the end is wonderfully bitter. Yes, in present-day terms Un Flic is languid in editorial construction, its contemplative performances are mannered, and its easy macho-chauvinism might grate contemporary feminist audiences. The artifacts of the time notwithstanding, it's all still really cool, right down to the trench coats and fedoras. And there's the girl at the center of it all. Catherine Deneuve's femme fatale stands apart from the typical cynical sirens of film noir. Deneuve's character has a heart; it's just not a faithful heart. She's aloof and manipulative, yet inviting and pliable – and ultimately deadly. Fans of Hill Street Blues should look for the ineffable Michael Conrad, an imposing figure whose intelligent eyes belied his menacing physique. 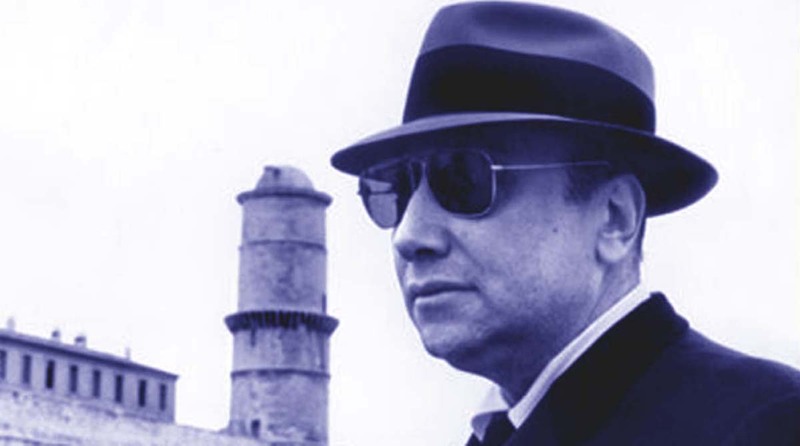 Jean-Pierre Melville died in 1973 at the age of 57. His work has influenced the films of Nicolas Winding Refn, Mika and Aki Kaurismäki, Joel and Ethan Coen, Martin Scorsese, Walter Hill, Michael Mann, and Quentin Tarantino, to name a few. A most notable Melville film, Bob le flambeur (1956), was remade by director Neil Jordan as The Good Thief (2002) with Nick Nolte. It too is remarkably good. Un Flic has been reissued and is playing at the Nuart Theater in West Los Angeles for a week, before finding its way to the better cinephile collections. It's certainly a must-see (and must-own) for Jean-Pierre Melville aficionados, not to mention fans of a good noir morality tale. Alain Delon in Jean-Pierre Melville's Un Flic photo: Rialto. Un Flic / A Cop (1972). Director and Screenplay: Jean-Pierre Melville. Cast: Alain Delon, Richard Crenna, Catherine Deneuve, Riccardo Cucciolla, Michael Conrad, Paul Crauchet, Simone Valère.